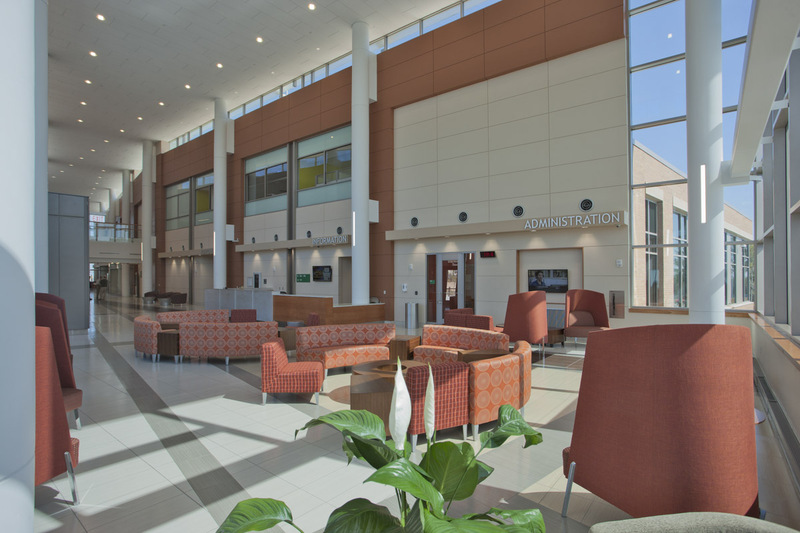 An engine for economic development. 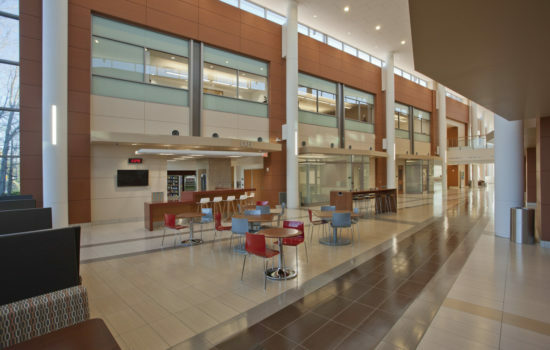 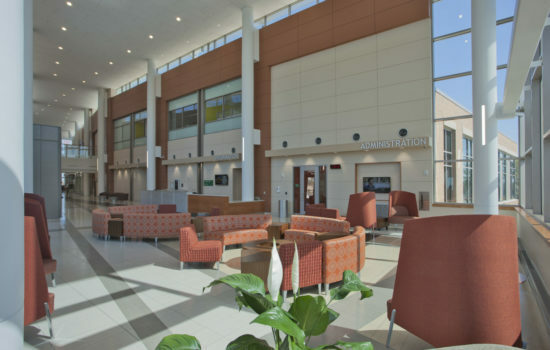 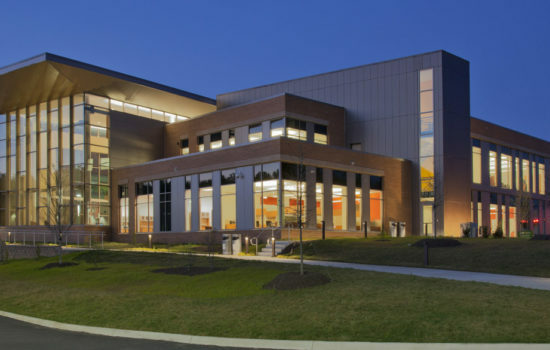 The new Regional Center for Workforce Education and Training (RCWET) at Northern Virginia Community College’s Woodbridge Campus serves as a campus building and provides a landmark presence for the college in the community to support economic development. 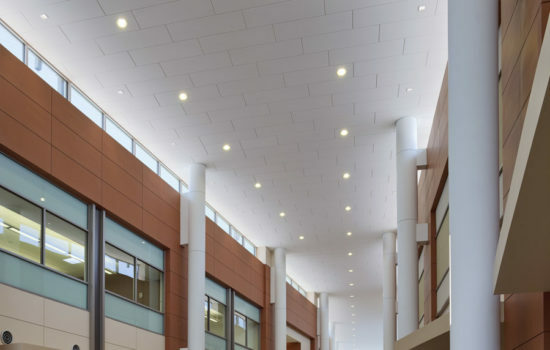 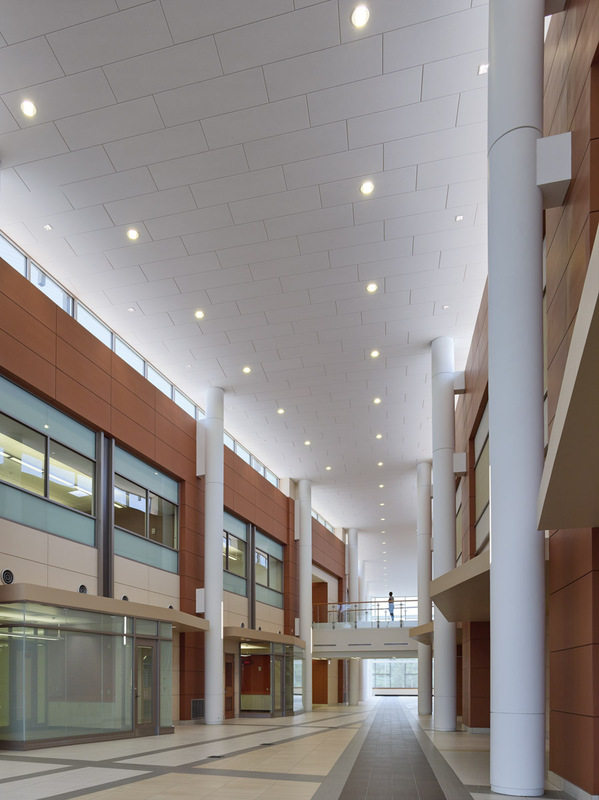 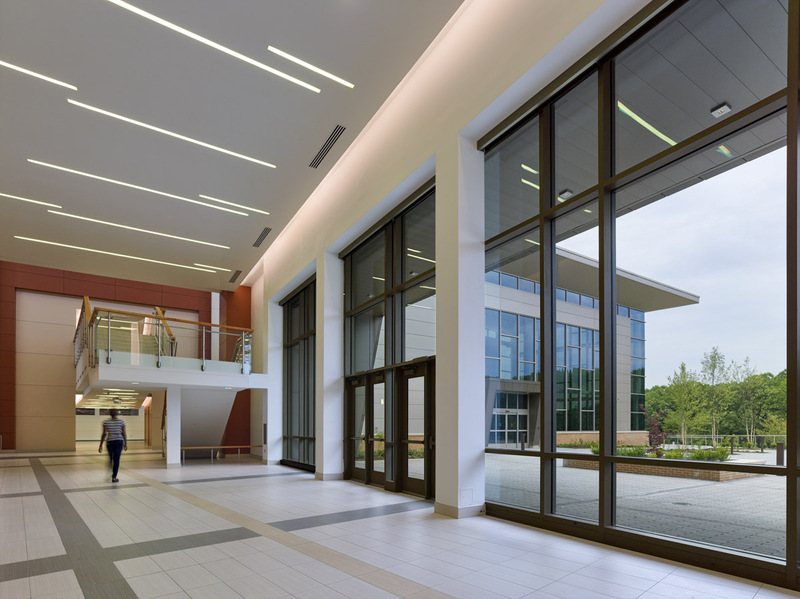 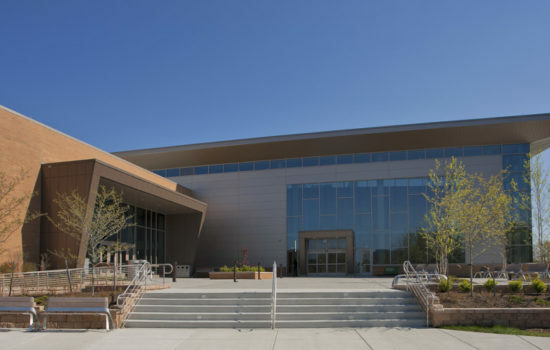 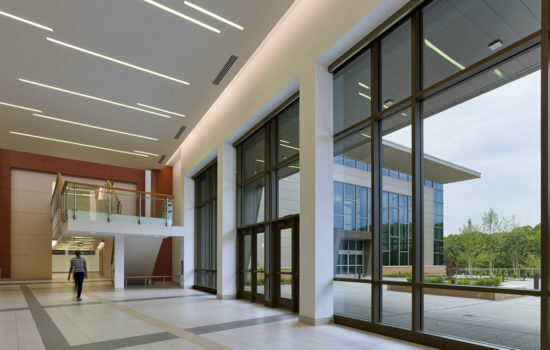 The building visually connects to the community, featuring a dramatic entry that serves as an introduction to campus and welcomes the workforce community inside. 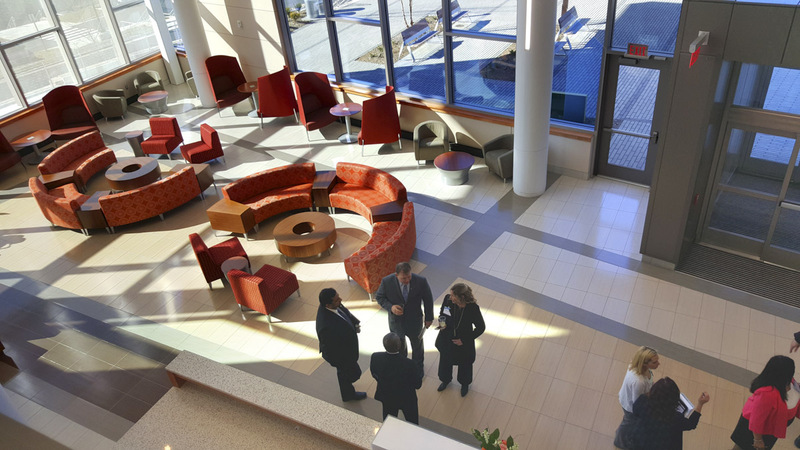 The immediate demand for advanced cybersecurity training labs led to significant research and benchmarking visits to government and private industry facilities during the design process. 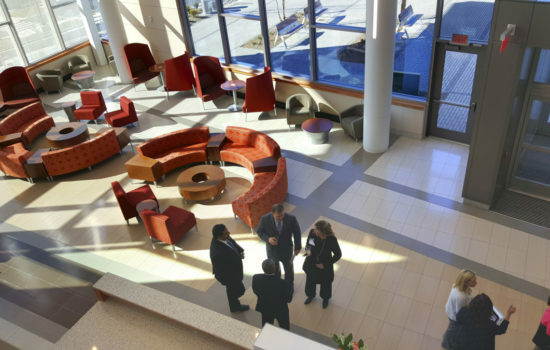 The result are dynamic and flexible labs—which include underfloor power and data infrastructure, multi-media breakout rooms, server rooms, and observation rooms—to support all varieties of cyber training activities. 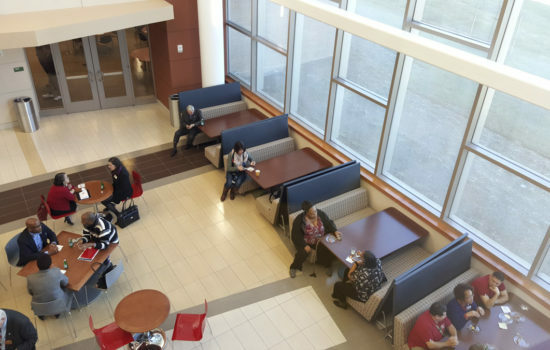 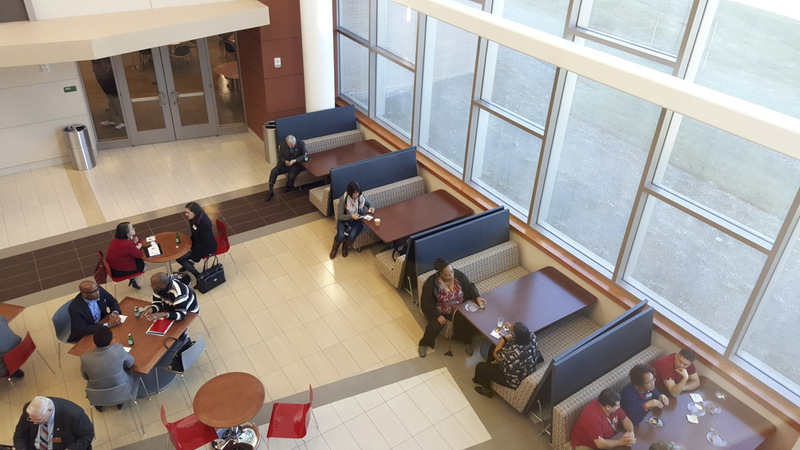 Given an overarching goal to be responsible to evolving workforce needs, these flexible, active learning labs in the RCWET can be adapted for all varieties of disciplines.